This recipe was given to me by my friend Lizzie. I did not have any raisins, and mixed in one cup of chopped walnuts. 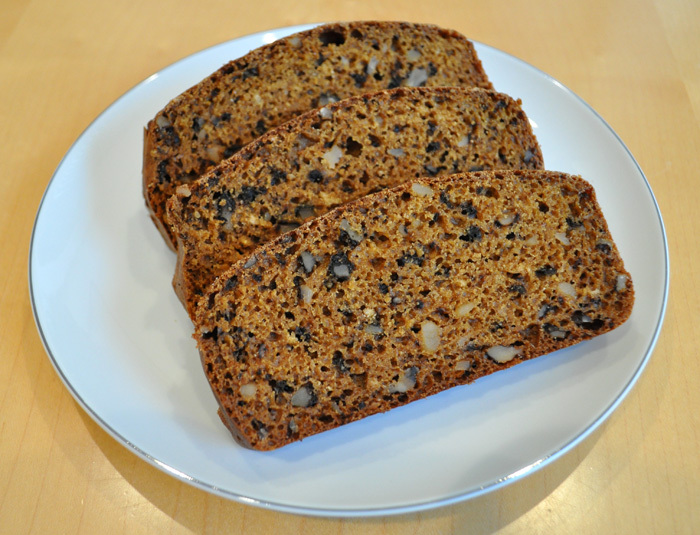 This is a slightly sweet and hearty bread that makes a great snack or dessert. Put in two greased bread pans. Good if you can let it stand one hour before baking. Serve with cream cheese and fruit for dessert.